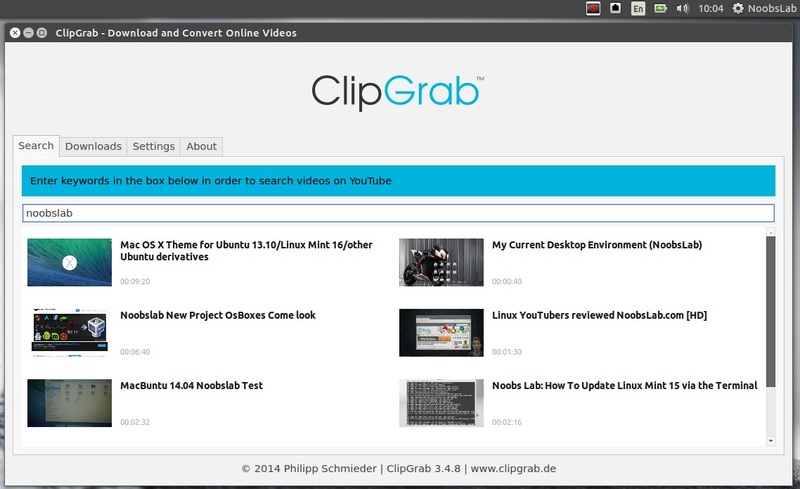 ClipGrab is a free software to download and convert videos from different famous sites of Internet. You can easily save your favorite videos from sites like Dailymotion or Vimeo. And you can convert these videos into "usable" formats like WMV, MPEG or MP3. You can check here which sites are supported by this software. It can convert videos to WMV, MPEG4, OGG Theora, MP3 (audio only), OGG Vorbis (audio only) or simply download videos in their original format. However, downloading from some sites doesn't allow you to select other format from drop-down menu, it could be issue with site videos. ClipGrab can download from the following sites: Clipfish, Collegehumor, Dailymotion, MyVideo, MySpass, Sevenload, Tudou, Vimeo and others. ClipGrab isn't limited to the sites listed, because many more sites are supported "unofficially" through the automatic site-recognition of ClipGrab. By the way, ClipGrab can also download HD videos from sites that have support for high definition.